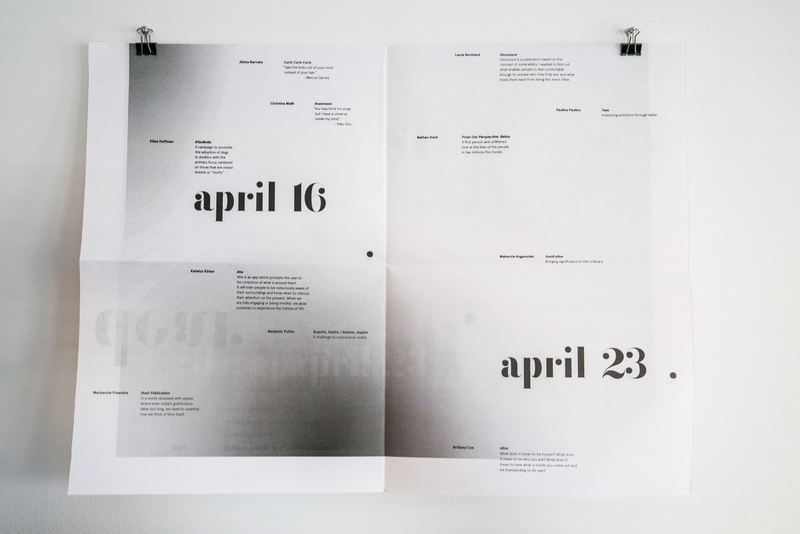 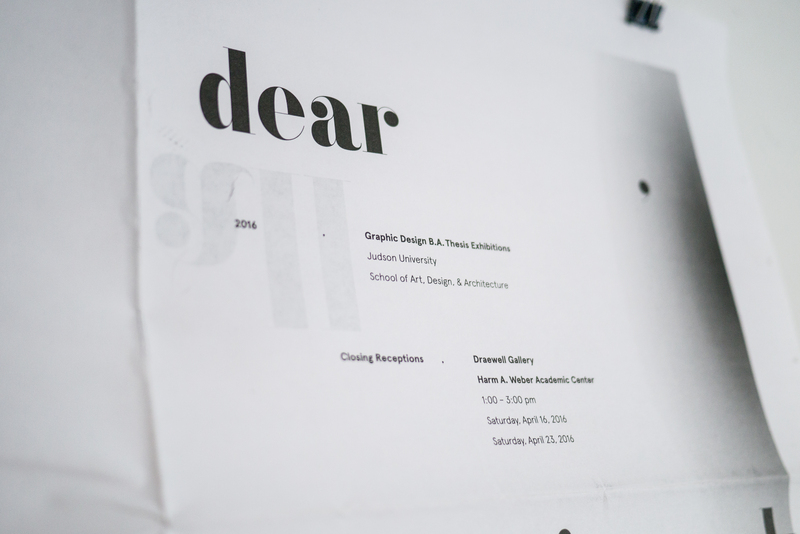 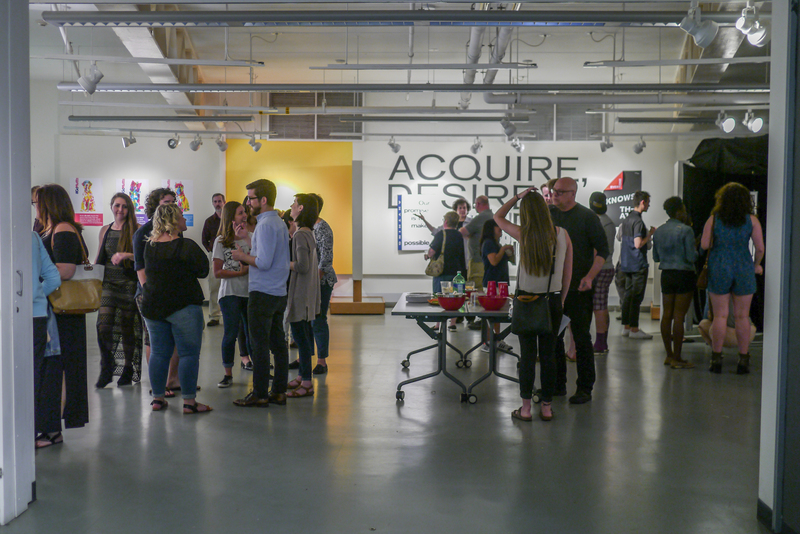 Judson University’s Graphic Design BFA thesis exhibitions materials. 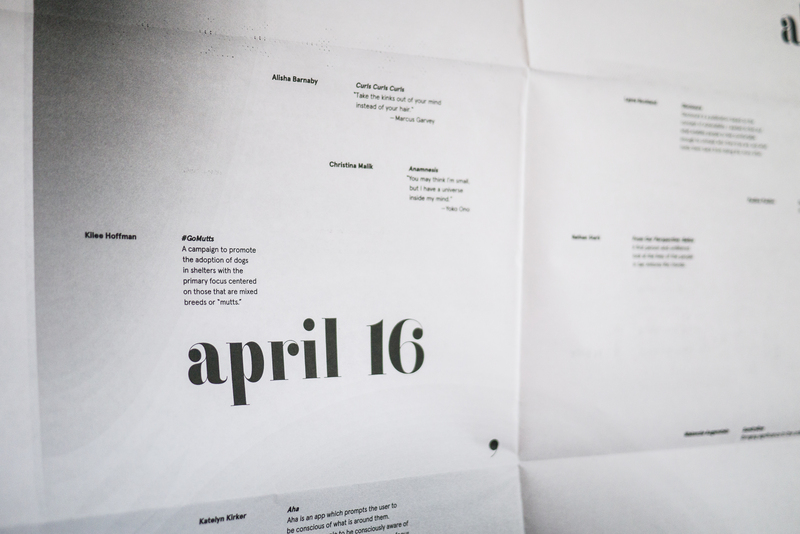 The mailer opens to reveal more information about the two shows. 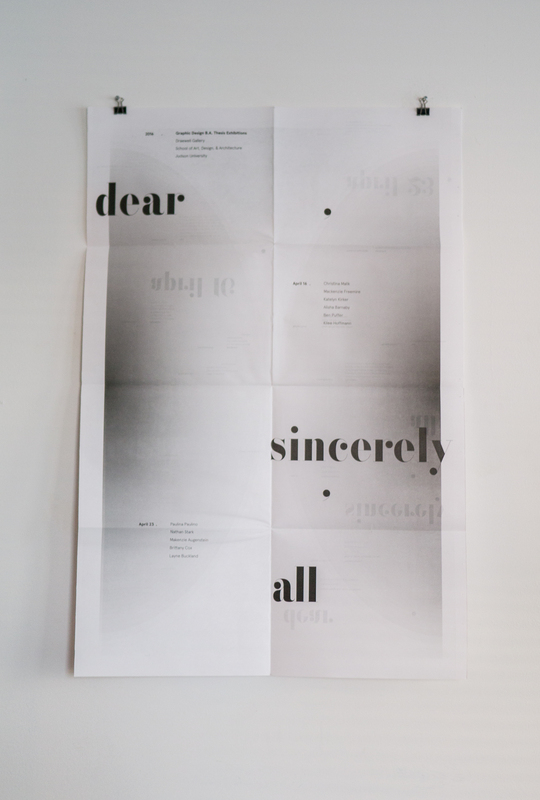 The opened mailer doubles as the show poster. 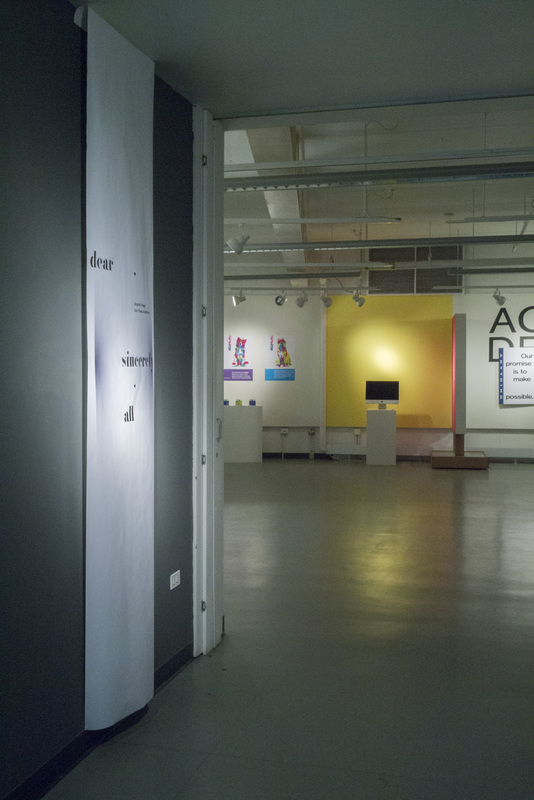 The title of the show hints at the personal themes of the individual projects. 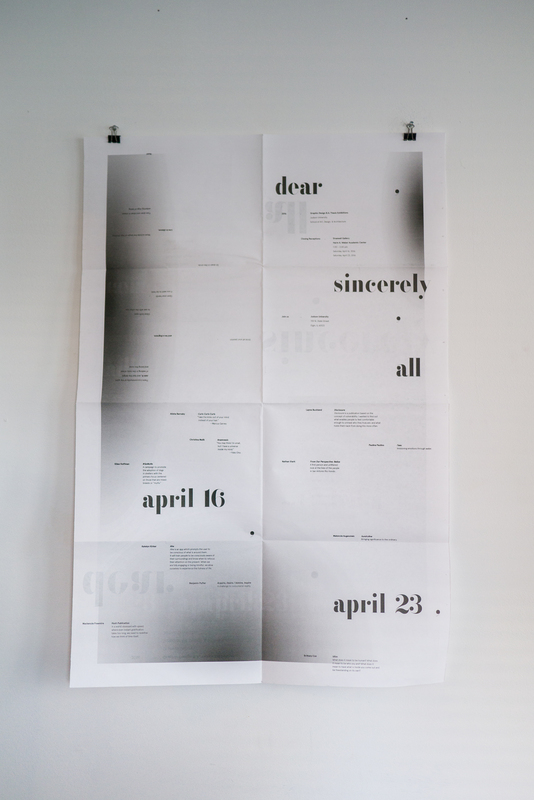 At the exhibition, a banner with the show graphics utilizes paper, which emphasizes the notion of a personal note or letter.